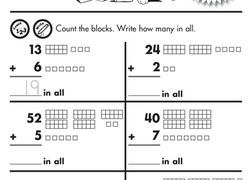 Year three place value worksheets help your child get a grasp on the tens', hundreds', and thousands' places. Your youngster will learn about different place values and their meanings in these year three place value worksheets. Using skip-counting, dot-to-dot, and fill-in-the-blank exercises, your seven- or eight-year-old will build skills that will help him work with place value in maths exercises. practise place value perfectly with these year three place value worksheets. Challenge your students to reorder the digits in two-digit numbers to create the biggest and smallest numbers possible.